I am a lucky gal. 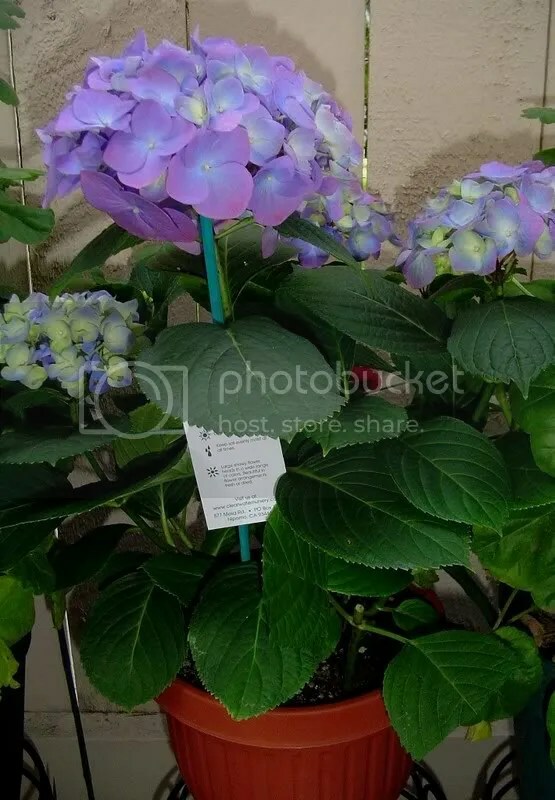 Last night, my fiancee surprised me with a pot of purple hydrangeas. Isn’t he the best! He was at the store and thought I would like them. Awww. These aren’t the florist hydrangeas. They’re the ones you find at the nursery so they’re a hardy variety. Of lately, I’ve been marveled with the growth in my garden. It seems like my tomatoes have doubled in size and have been flowering. The supersweet 100s are flowering like crazy. My patio hybrid has started to get a thick stem and have flowered large flowers. I’ll let that produce to see how big they fruit. 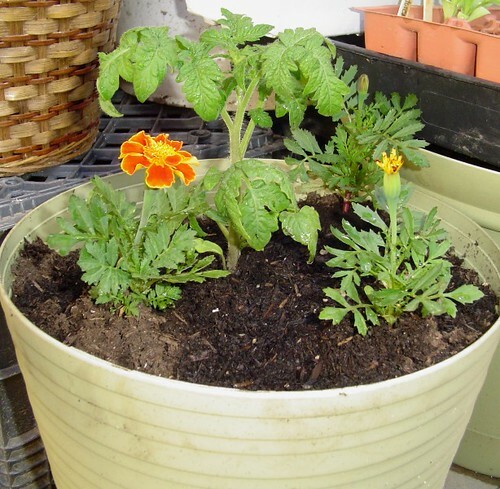 They’re suppose to be great container tomato plants and supposed to look like this. I’ve been pinching back some of the flowers on my other tomato plants (Roma, Marglobe, & Supersweets)to encourage top and side growth and to ensure a bigger crop in the summer. My cucumbers, on the other hand, aren’t doing too well. Some of the one’s I planted on the side of my fence have shriveled up and died. Luckily, I have extra transplants but nonetheless it makes me sad 😦 The cucumbers on the other side of the fence are doing much better producing new leaves. Ergh…nature is so unpredictable. A couple of days ago, I was able to harvest a handful of strawberries for dessert. A light dusting of sugar is all is needed for a good snack. The ones in the ground are doing much better than the ones in the hanging basket. I soaked some sweet pea seeds last night. I’ll pot them up tomorrow morning in a 1-gallon container and see if I can grow pretty sweet pea blooms. Last year, I only got one silly sweet pea flower (boo). My coworker told me that sweet peas reseed themselves at the end of the season. She said the peas, after they mature, will twist and twist until they pop and reappear next year. We’ll see if this theory pans out. Tomorrow, I’m going to try and clean up and pot up the seedlings I have on my gardening table. I was an overachiever this season with my endeavors at seed starting. I have way too many pepper and tomato seeds. 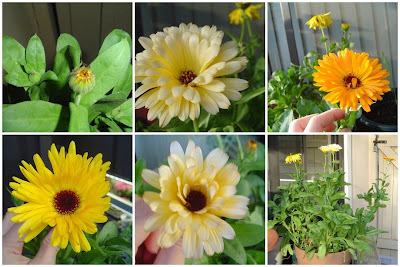 My calendulas, in the past couple of months were blooming like crazy but recently have been puttering out. I’ll let them go to seed and start new ones for the summer. They have given me a lot of flowers for the various flower arrangements I have in my home. They are very easy to grow and I highly recommend them. The hollyhocks, asters, more calendulas, zinnias, poppies are steadily growing next to my fence. They don’t like a lot of sun so I’ve placed pots next to them to shield them from the hot sun. The petunias are gradually getting their footing and blooming. The stocks and snapdragons are slowly blooming. Anyday now, I’ll have a blooming garden! I just wanted to post some pictures of some crocus bulbs I planted last year. I forgot where I put them so it’s a pleasant surprise to find them here and there in the garden. The flowers are so delicate and small. It’s like what they say…big things come in small packages. The first picture to the left is a picture of new crocus bulbs coming up. The second picture is a crocus plant ready to bloom and the third picture is a picture of a crocus in bloom. The blooms, unfortunately, do not last for more than a couple of days though. I also have some Mexican Torch Sunflowers blooming. The blooms are big and either orangey or yellowey (as if these are real words…but they do describe the color of the flowers). Yesterday, I transplanted my zinnia thumbellina seedlings and tiny tim tomatoes into six packs. I’m going to leave those outside since the weather has been so nice. It’s been in the low 70’s during the day. I wish I could work outside but alas, I must go to work! 😦 I’m excited that daylight savings time is this weekend. We get an extra hour of sunlight! Yippee! I bought some Sequoia Strawberries from Home Depot and I transplanted them on Tuesday in the ground and in some hanging baskets. I hope we get tons of strawberries! The rain is gone for the rest of the week. Sunshine is predicted for today through Monday then the rain comes back for a second round for Monday night and Tuesday. I plan on putting some cool weather vegetables in tomorrow and this weekend. 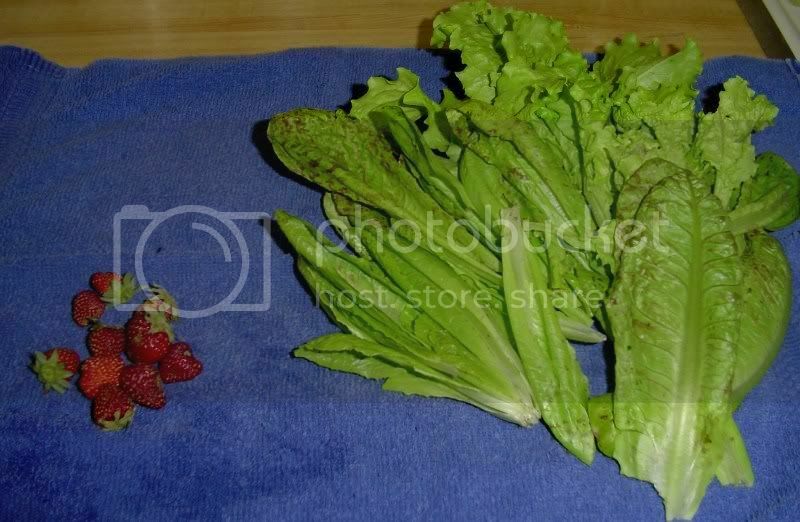 I need to transplant my Swiss chard, onion, lettuce, and radish seedlings into the ground. The nights have been dipping into the mid 30’s so I think I should be fine with putting those crops in the ground. Besides, if it gets really cold, I could just cover it with my makeshift cover I have (it’s basically a very large Tupperware box that has a crack in it) or with some old sheets. Either way, I can’t wait to get dirty. I also need to start some basil seeds for the spring. I have basil in almost everyplace I have tomato plants so that means I’ll need a lot of basil seedlings. 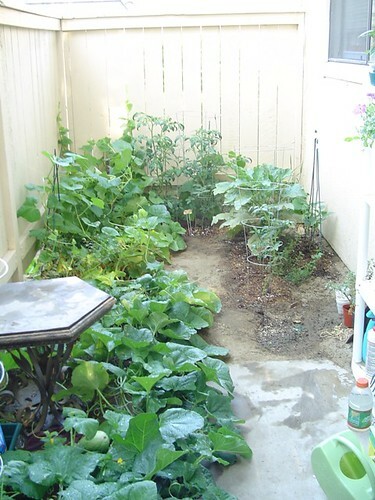 I’m still planning my little plot of dirt (6’ x 7’) according to the square foot gardening guidelines. I absolutely love this method and this will be my first year attempting it so wish me luck. The book was a very easy read too. I think I read most of it in a couple of days. 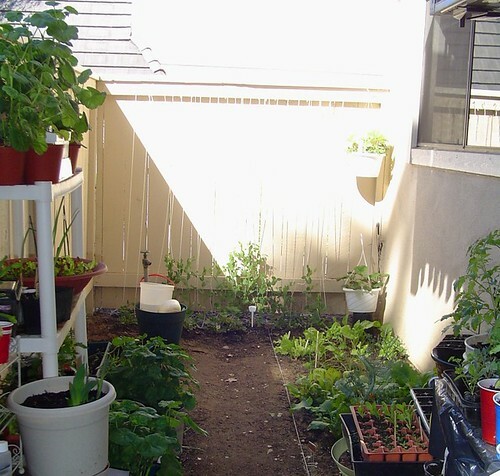 I have tomatoes, peppers (different varieties of course including bell pepper, Peruvian pepper, jalapeno pepper, Kung pao pepper, and long cayenne peppers), cucumbers, squash, eggplant (black beauty), strawberries, and peas. I’m also attempting to grow more flowers this year. I want several that I can cut and put in vases for my apartment. My strawberry bareroot plants have signs of life after a week of rain and sunshine. 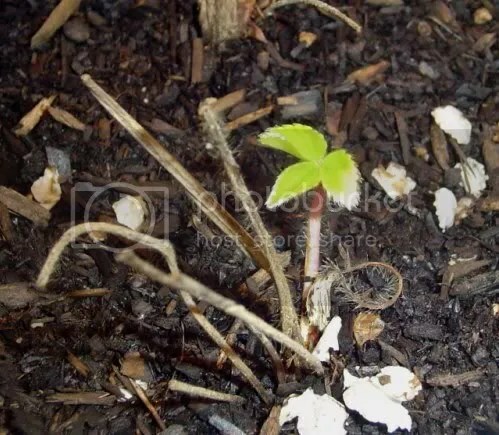 I see one green leaf emerging. I hope they all perform well. They were really inexpensive so if they don’t produce, it’s ok. I went to home depot this morning and saw so many plants I want to get. Instead of impulsively buying everything I saw (which included aloe, a snake plant, ming aralia, hanging prayer plant, bok choi, and ever bearing strawberries) I resisted and wrote everything I wanted down. I’ll research how to grow them and see if it’s my spring plans. If so, I’ll be going back there to pick them up!